M∙A∙C Rounds Out the Year with 3 New Collections. Of course M∙A∙C didn't just end the year with it's legendary Holiday collections. They just launched their post-Holiday collections, 3 of them in fact, to round out the year. Break out that Christmas cash and get shopping over at M∙A∙C, because there are some definite must-haves in these beauties. "A fireside fantasy far from the maddening crowd is undeniably appealing. Seek refuge in the warmth, the glow of skin rosy with Refined Golden Mineralize Skinfinish, Shadesticks in Cuddle, Nurture and Snuggle shades, cozy as a mug of cocoa on a bearskin rug. Care Blends Essential Oils in Sweet Orange + Lavender, or Grapefruit + Chamomile feels soothing and sultry when elements are harsh and extreme…add M∙A∙C signature innovation with Mineralize All-Over Moisture Lotion, a new permanent product, and see new radiance, revivified lustre, optimum health. Like going on retreat and communing with nature, it’s an earthly way to bring back what the city takes away, and a sensual solution to make life simple, but luxurious. Winter beauty begins here." Must haves in this collection, for me at least, include the Mineralize Skinfinish in By Candlelight. 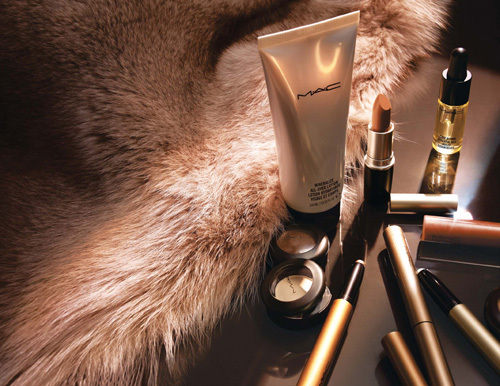 It is a soft golden pink as it imparts the perfect glow my skin is craving this time of year. I apply this as I would a bronzer in the summer, on the top of my cheekbones, over my nose, a gentle sweep across my forehead and a dab on the chin. I am also loving the Tinted Lip Conditioner in Feelin' Good, the Lipstick in Warm Me Up, layered with Lipglass in Light That Fire!. The Mineralize All-Over Lotion is perfect for anywhere, like it says. It is a lightweight lotion that has a bit of slip to it, but it dries fast and is making my legs feel like silk. "This salon-intimate collection is all about a dramatic, intense, smoky eye, with shadows that flash frosty grey to deep blue. Kohl Power is brought back for a limited time in favourite shades plus a new blackened marine blue. And naturally, 44 Lash adds the depth and desire. Lips stay pleasingly pale and Nail Lacquer in Light Affair adds a hint of danger. If ever there was a moment to do away with the winter doldrums and add some instant intrigue, this is it." I am obsessing of the Light Affair Nail Lacquer. It is the perfect pale taupe and it looks beautiful over a natural or French manicure. I love an unexpected pale nail in the winter and this is my new signature shade. I am also loving how pairing the Lipstick in Intricate, which is a beautifully frosty taupe looks with Lipglass in Utterly Discrete on top of it. Utterly Discrete is a frosty gloss as well, but this one is more of a mauve-taupe. "Dramatic, daring Lashes have been a chic and urbane part of the modern Artist’s persona since Edie and friends made it all happen Downtown, on block-print canvas or grainy 16-millimetre film. Multi-media, counter-culture, the ultimate cool. In The Studio is the epitome of the look updated, featuring new Studio Fix Lash in Black Fix or Studio Brown, with the latest thermoplastic synth-rubber moulded brush, designed to kill clump as it separates lashes. Go for the bold stroke, as they do In The Studio." This new mascara is divine. 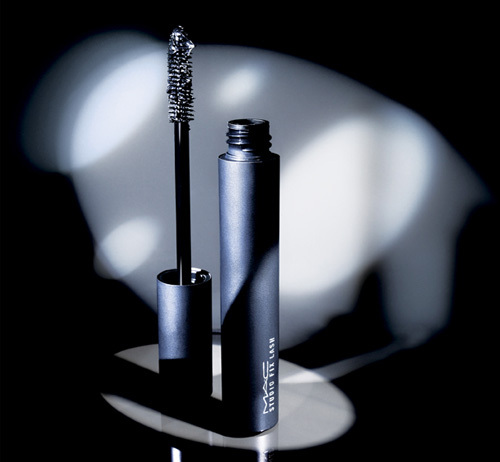 I am using Studio Fix Lash in Black Fix. The bristles on the wand are very short, stiff and are rubbery. This lengthens my lashes and keeps them separated like no-one's business. I usually go for more of a full lash look, but the utter ease with dramatic length and separation make for a welcome surprise, and I am loving the look. I am doubly thrilled that this new mascara is part of the permanent collection. 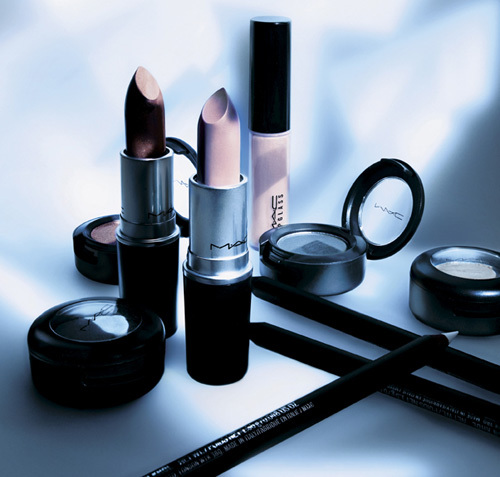 These new collections are available right now at your favorite M∙A∙C counter, store and online at M∙A∙C Cosmetics. *Some of these items were sent to me as press samples.